26th of January,1924, he graduated from RG Kar Medical College and Hospital in 1949 and after the mandatory PRCA, became the first Honorary house surgeon in Orthopaedic Surgery under Dr. Sarbadhikari, going on to be the Registrar, at the same institution. He was a perfectionist in every aspect of his practice. He had two sets of X-rays taken every time, of which one was for his records. He maintained his own instruments, like all surgeons of his era, with a big difference. His huge practice demanded a high volume of surgery and he had several sets of instruments for each procedure, so that he could carry out five or six similar surgeries without running out of pre autoclaved trays. This made it easy for him to comfortably operate into the small hours of the morning without relying on the limited infrastructure of the smaller nursing homes. The clock never bothered him and his surgery went on until he had it just so. A little frail of body today, his mind is still just as sharp as it was during his heydays. His enviable appetite for knowledge has not ebbed al all, though that of food, has. However, as a host he is as keen as ever and you can never leave his room without eating all the savories that he will have lined up. Sushrut Hospital, Research Centre and Post Graduate Institute of Orthopaedics, Nagpur. Emeritus Prof. of Orthopaedics Indira Gandhi Medical College, Nagpur. Director Sushrut Hospital, Research Centre and Post Graduate Institute of Orthopaedics, Nagpur. Internal fixation requires a sound understanding of the principles and techniques of the use of implants. Proper understanding of mechanical and biological aspects of fracture repair is key to selection of implant for the treatment of a particular fracture. Fracture fixation is guided by results of various laboratory researches and is related to cellular biology, vascular physiology, biomechanics and our observation and experience from clinical practice. Due respect should be given to microcirculation of bone and soft tissues which is equally important while considering the internal fixation of fractures. One major factor for non-healing of fractures has been the association of the motion at the fracture site during the process of healing after internal fixation causing instability. In cases of internal fixation, this will affect the choice of implant and its principle of application. Kuntscher first developed the technique of intramedullary nailing as early as 1939. Kuntscher’s work was marked by his extensive knowledge, his wealth of ideas and his understanding of the biological process of bone healing, which are impressively, documented in his monograph ‘The problem of consolidation and intramedullary nailing’. His contributions in this field include flexible intramedullary reamers, distraction device, intramedullary saw, and the detensor, which was the first type of interlocking nail. Kuntscher’s original nail was hollow, slotted; cloverleaf shaped and became progressively popular all over the world. During the last 20-25 years interlocking nailing has been the golden standard in the treatment of diaphyseal long bone fractures. In 1972 Klemm and Schellmann from Frankfurt and Maine developed the first version of Interlocking nail. Subsequently at CTO Strasbourg around 1974-76 Grosse and Kempf modified, developed and improved the original nailing interlocking system. Lot of changes has occurred in this methodology of nailing-interlocking fixation. Second-generation Reconstruction nail, Gamma nail, PFN and very recent third generation telescoping locking nails are some recent newer modifications. 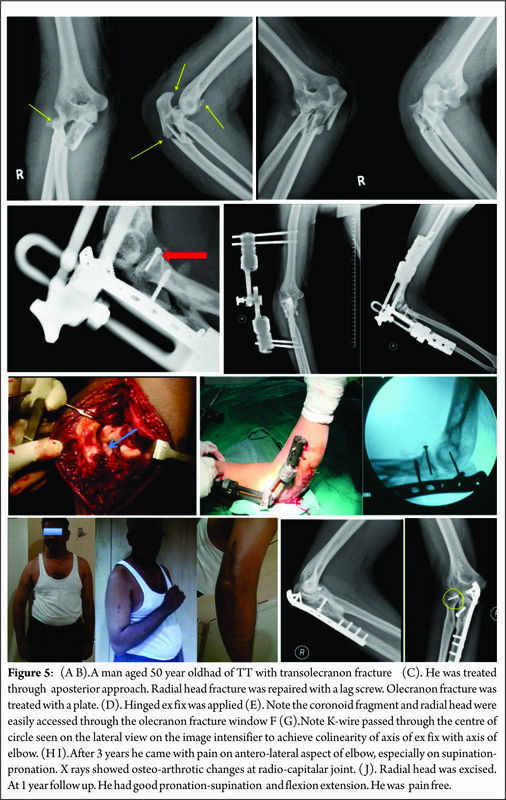 The treatment of open injuries during the course of fracture treatment dictate the use of methods believed to reduce the risk of complications, including urgent or emergent treatment and thorough debridement of wound and stabilisation by various methods of fracture stabilization, which includes markedly improved external fixators and intramedullary (IM) devices. External fixation devices were used as early as 1840 by Malgaigne to hold a fracture tibia in position and in 1843 a clamp to approximate fractures of the patella. Lambotte in 1907 is also credited with the use of monolateral system with threaded pins, which looks like the AO fixator. However the method failed to gain widespread acceptance till Hoffmann from Switzerland published his series in 1938 with good results. Today it is one of the best methods of fixation for open fractures especially grade III B and C. With the development of VAC system the prognosis of open injuries have improved. Another significant development in this area was the Ilizarov’s technique of ring fixators, which has revolutionized the treatment of infected nonunion and reconstruction of comminuted intra-articular fractures. Stable reconstruction of the fractured bone minimizes the load to be carried by the implant. Stability of the fixation is therefore a critical parameter with respect to implant fatigue and corrosion. Fracture fixation once achieved should produce absolute quietness of fracture by way of stable or biological fixation. This was the basis of AO principles, the group formed in 1958 that promoted the treatment by internal fixation. However their principles are changing and they have moved from rigid fixation to biological fixation & stable fixation allowing micromotion. Stability in internal fixation is used to describe the degree of immobility of the fracture fragments. Stable fracture fixation (Osteosynthesis, term coined by Lambotte) means a fixation with little displacement. A special condition is described by the term absolute stability. This defines complete absence of relative displacement between fracture surfaces. Within the same fracture surfaces, areas of absolute and of relative stability may be present simultaneously. Over the years there has been a major change in the philosophy of the AO/ASIF group. It is now preferred to have a stable biologic fixation than a rigid fixation. The principles of Biological Fixation may be summarized as: Repositioning and realigning by manipulation at a distance to the fracture site, preserving soft tissue attachments, leaving comminuted fragments out of the mechanical construct while preserving their blood supply, using low elastic modulus, biocompatible material, decreasing contact between the bone and the implant and limiting operative exposure when possible. The degree of stability achieved has a determining effect upon the amount of the load borne by the implant used for fixation. The load carried by the implant is critical with respect to possible fatigue failures and /or to fretting corrosion. Today with the development of key-hole & minimally invasive surgery, arthroscopically assisted fracture reduction, reconstruction of articular surface & fixation is very much in vogue, especially for distal radius, tibial plateau and plafond fractures. The principle of indirect reduction has been developed lately for fracture fixation. The technique of plating as well as plate design has been modified. 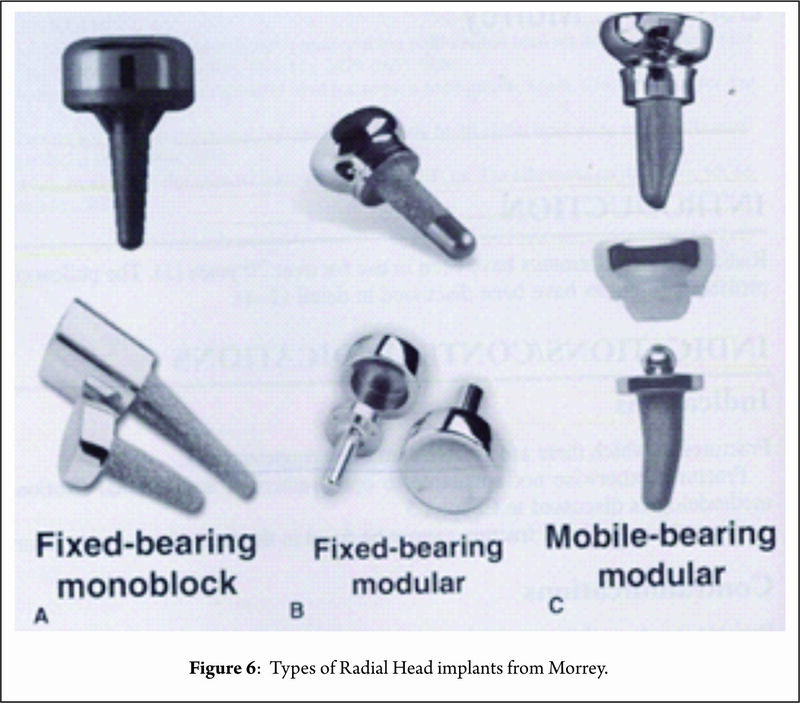 The AO principles, techniques and implants have changed considerably over the time. There is a shift of emphasis from mechanical to biological aspect of internal fixation with great emphasis being placed on the preservation of blood supply to the bones & soft tissues. Less Invasive Stabilisation System (LISS) and Minimally Invasive Percutaneous Plate Osteosynthesis (MIPPO) represents a new generation of plates and principles, which act as internal fixators, minimising any surgical insult to the bone and approach related soft tissue damage. Similarly, there have been lot of developments for the easy and safe technique of closed nailing and interlocking of femur, tibia and other bones. Use of ultrasound for control of passage of guide wire by closed technique is one of the latest developments. Ultrasound and Doppler studies are used for assessing the fracture healing. The technique studies the morphology of callus and neo-vascularisation to predict the progress of fracture healing. The test is non-invasive, cheap and easily accessible. Minimally invasive surgery and computer-aided techniques will influence future developments in the fracture management. With the increase in the medicolegal issues related to the field of medicine, especially in orthopedics, there is no specific single method of treatment available, for a particular fracture/injury. Major changes are taking place around the world concerning fracture treatment. Change cannot be avoided and will, sooner or later, arrive. The specialty of orthopedics in particular has grown by leaps and bounds in the last 50 years, thanks to the modern day pandemics – road traffic accidents. From a neglected specialty that dealt with deformity, osteomyelitis and low energy trauma, it has become a specialty of demand and glamour, ever growing with quantum leaps. Improved metallurgy, asepsis, intensive care facilities, anesthesia, imaging and diagnostic methodology has allowed us to progress faster. How to Cite this article: Babhulkar S. Changing Trends in Fracture Fixation. Journal of Clinical Orthopaedics Jan – June 2017; 2(1):2-3. 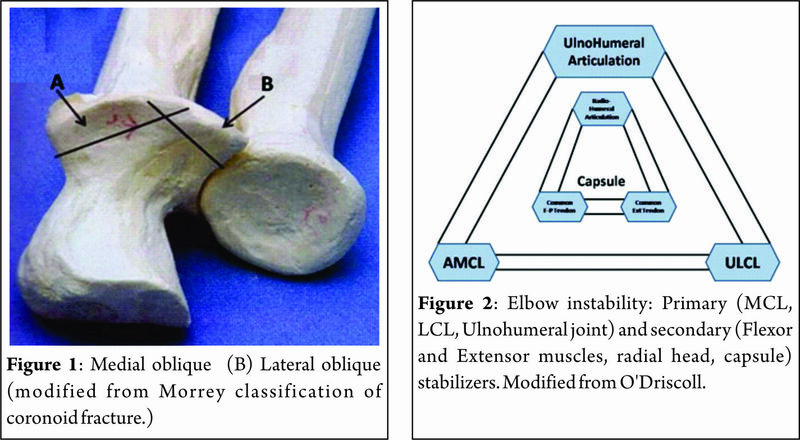 As is the hallmark of all BOS activities, high quality content is hallmark of Journal of Clinical Orthopaedics (JCO). In this issue we have guest editorial by Dr Sudhir Babhulkar and a perspective article by Dr Shantaram Shetty. Dr GS Kulkarni, Dr Ashok Rajgopal, Dr Ramesh Sen, Dr Raju Vaishya and many more have contributed excellent review articles. Also the issue contains the usual potpourri features that includes, foot and ankle, arthroscopy, paediatric orthopaedics and tuberculosis. 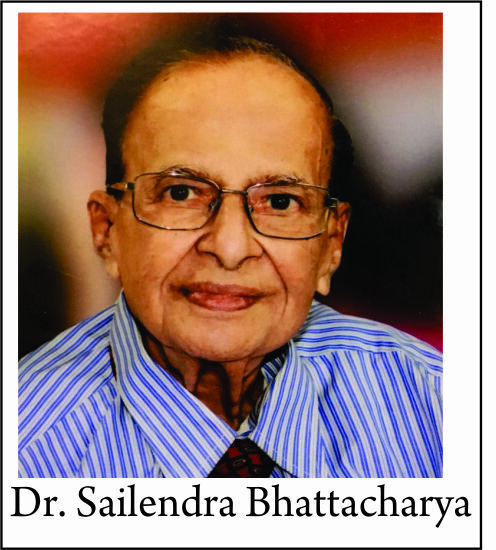 Lastly but most importantly the issue contains interview of Dr Sailendra Bhattacharya, the living legend of Orthopaedics. Thus the content of the issue is contributed by the best in orthopaedics from across the country and although the issue was delayed by a month, we could cover the shortcoming by providing excellent quality articles for our readers. The format of JCO will continue to evolve in coming years, but the goal will always be to bring the best reading material which has balance of both experience and evidence based content. The focus would be to bring practically useful content which can be applied to day to day practice. We would like to request our readers to please submit clinically relevant articles, original research, case series, case reports and technical notes to JCO. The Journal has an excellent website and online article submission system which is simple to use and keep record of all your submissions. Preparation of JCO issue for WIROC 2017 is in full swing and we are hopeful to get articles from many more of our readers. Dr Ashok Shyam – Associate Editor JCO. How to Cite this article: Antao N, Shyam AK. 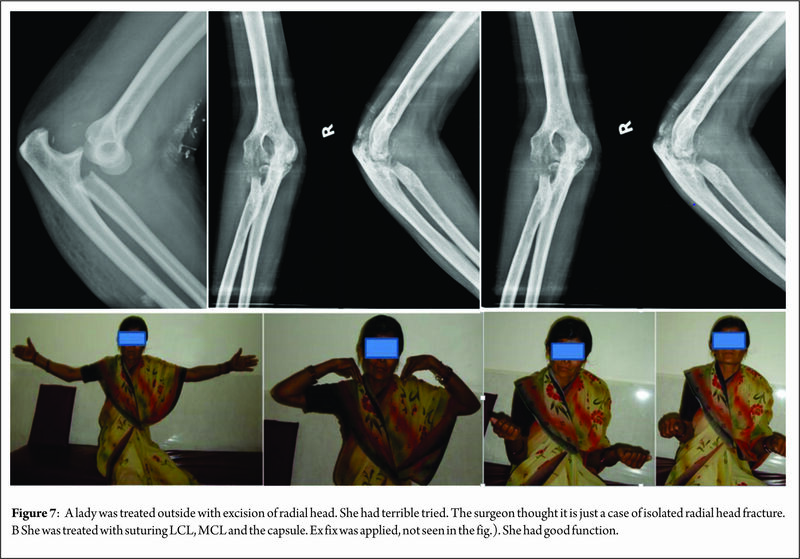 Journal of Clinical Orthopaedics – an academic venture of Bombay Orthopaedic Society . Journal of Clinical Orthopaedics Jan – June 2017; 2(1):1. Foot and Ankle in 2017: Some Questions Answered? There are many ways in which a condition can be treated, especially in the foot and ankle speciality. There are also many queries and controversies in this field on various topics like tendoachilles tear, isolated lateral malleolus fracture, flat foot surgery, Mortons neuroma, gastrocnemius tightness, etc. I hope to answer some of the queries and suggest an update in the present article. In India there are numerous patients which present late with tendoachilles (TA) rupture either because of neglect or due to misdiagnosis. These patients present with disability involving activities of daily living or a limp. Various surgical procedures have been reported for the reconstruction of a chronic Achilles tendon rupture; these involve resection of the interposed scar tissue and reconstruction using normal autologous tissue. Although these reconstructive surgical procedures have been shown to have good clinical results, they are time-consuming and difficult to perform compared with primary repair. In addition, procedures involving the use of a normal autologous tendon are associated with donor-site morbidity. Yasuda et al 1 studied the direct repair of chronic TA rupture using the scar tissue in 30 patients (30 feet). In 27 patients, the duration from injury to the time of the surgical procedure was >12 weeks, and the mean duration was 22 weeks. Surgical technique: After the midline longitudinal incision, the scar and tendon tissue was inspected. The middle part of the scar tissue located between the tendon stumps was resected. After the resection, the approximation of the proximal and distal ends of the tendon was possible with the ankle in 200 to 300 of plantar flexion. If needed, the additional scar tissue was resected. The results showed significant improvement in the AOFAS scores. At the time of the latest follow-up (minimum 24 months), none of the patients had experienced tendon reruptures or difficulties in walking or climbing stairs, and all except 2 patients could perform a single-limb heel rise. All athletes had returned to their pre-injury level of sports participation. Histologically, the interposed scar tissue consisted of dense collagen fibers. 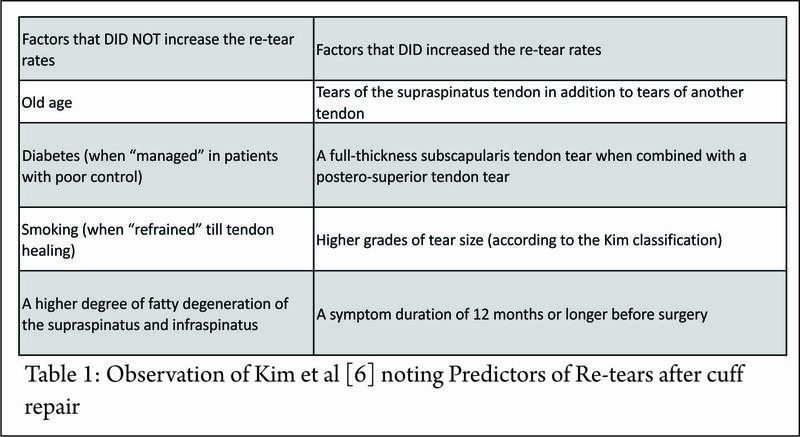 In conclusion, shortening of the tissue between the 2 tendon ends that included healing scar and direct repair of healing tendon without allograft or autograft can be effective for treatment-delayed or neglected Achilles tendon rupture. Surgery for Flat foot in adults. Does it help? Adult acquired flatfoot deformity (AAFD) could result in a painful progressive plano-valgus deformity. The most common cause of AAFD is posterior tibial tendon dysfunction (PTTD), which involves pathology of the posterior tibial tendon (PTT) and the spring ligament. In the initial flexible stage (Type II AAFD) shoe modification, ortrhosis and physiotherapy is helpful. Surgery becomes an option after failed non-surgical treatment. There are less than 20 published studies that evaluate the outcome of this type of surgery, most are small retrospective investigations with only postoperative data presented and only few use a prospective design. Coster et al evaluated 21 patients with a median age of 60 (range 37–72) years who underwent different surgical reconstructions due to stage II AAFD before and 6 and 24 months after surgery by the multiple patient questionnaires. The surgical procedures varied but included medial displacement calcaneal osteotomy, FDL tendon transfer, spring ligament reconstruction, lateral column lengthening and gastrocnemius recession. Before surgery the patients completed multiple scores which included SF-36 and Euroqol. The participants were before surgery markedly impaired in function and HrQoL and had substantial pain. All scores improved after surgery, with statistically significant improvement found from preoperative to 6 months after surgery. Three patients had severe but flexible flat foot deformities which required fusion. These patients also did well. This study shows that surgery of AFFD due to PTTD results in improved pain, function and HrQoL. The high subjective satisfaction rate and the low complication rate support the usefulness of surgery in this condition. The improvement can take up to 2 years after surgery. Is Gastrocnemius recession the answer to foot pain? Isolated gastrocnemius contracture (IGC) is considered an etiologic factor for various complex foot diseases and symptoms such as hallux valgus, acquired flatfoot, hammertoe deformity, and plantar fasciitis. Holtmann et al3 studied the effect of IGC release in 64 neurologically healthy patients. The prevalence of foot disorders were pes planus (41%), hallux valgus (38%), metatarsalgia (19%), hammertoe deformity (13%), and symptomatic Haglund exostosis (11%). At a follow up period of 31 months, the patients had significantly benefited from increased ankle dorsiflexion. This resulted in improvement of the symptoms of pain and increase in the daily life functionality and patient satisfaction. Special attention is needed to identify the sural nerve as it is at risk during surgery. Early physiotherapy and muscle training is required to regain the strength. In recent years, the musculoskeletal benefits of PRP have been the focus of considerable interest, most notably in sports medicine and orthopedics. Most of the published data on PRP have focused on its effectiveness to treat degenerative tendinopathy or early-stage knee chondropathy and arthritis. Repetto et al4 retrospectively evaluated the mid- to long-term clinical results (mean follow-up of 17.7 months) for platelet-rich plasma injections in 20 patients (20 ankles) with ankle osteoarthritis. They found a strong positive effect for 4 platelet-rich plasma injections (injected once a week) on pain and function, with 80% of patients very satisfied and satisfied, and only 2 patients (10%) required surgery because of early treatment failure. These results suggest that the use of platelet-rich plasma injection is a valid and safe alternative to postpone the need for surgery. Alviti et al5 studied the use of PRP matrix in acute rupture of the Achilles Tendon (ATR). They analysed the biomechanical characteristics, stiffness, and mechanical work of the ankle during walking in patients who had undergone surgery after ATR with and without PRF augmentation in 20 patients. A gait analysis evaluation was performed at 6 months after surgery. The percentage of the stance time of the operated leg, double-support time of the healthy leg, and net work of the ankle during the gait cycle showed statistically significant differences between the no-PRF and the healthy group (p < .005). This may be due to a reduction of the effectiveness of the muscle work related to a weakness of the elongation and elastic return of the Achilles tendon during walking. There were no differences between the PRF and healthy groups. Treatment with suture and PRF augmentation could result in significant functional improvements in term of efficiency of motion. 4. Repetto I, Biti B, Cerruti P, Trentini R, Felli L. Conservative Treatment of Ankle Osteoarthritis: Can Platelet-Rich Plasma Effectively Postpone Surgery? J Foot Ankle Surg. 2017 Mar – Apr;56(2):362-365. 5. Alviti F, Gurzì M, Santilli V, Paoloni M, Padua R, Bernetti A, Bernardi M, Mangone M. Achilles Tendon Open Surgical Treatment With Platelet-Rich Fibrin Matrix Augmentation: Biomechanical Evaluation. J Foot Ankle Surg. 2017 May – Jun;56(3):581-585. How to Cite this article: Moonot P. Foot and Ankle in 2017: Some Questions Answered?. 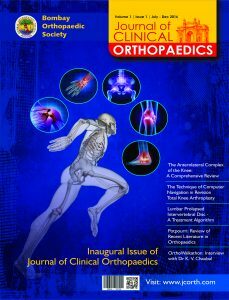 Journal of Clinical Orthopaedics Jan – June 2017; 2(1):59-60.
http://jcorth.com/wp-content/uploads/2016/10/BOS-LOGO.png 0 0 editor.jcorth http://jcorth.com/wp-content/uploads/2016/10/BOS-LOGO.png editor.jcorth2017-06-10 07:13:352017-10-11 11:30:56Foot and Ankle in 2017: Some Questions Answered? Authors: Rujuta Mehta , Kailash Sarathy . Paediatric orthopaedics as a super speciality has evolved in the last 3 decades to become a vast ocean of changing concepts and rethinking of treatment strategies and hence, is abundant in evidence based literature. In the last year over a 100 good articles and research papers have been published on various subjects. In this commentary, we have sifted out a few of the most relevant ones to the day to day clinical practice and some which are relevant to both the general orthopaedic surgeon and paediatric orthopaedic surgeon. The following is a compilation according to categories which we think will interest the reader. The summary has been enlisted here along with a short comment on the utility of the article. The reader is advised to go into the full text of any selected article if any particular article meets their requirements: as providing full text of each article is beyond the purview of this review , making it over lengthy. Aim:To analyse the important articles published in the field of Pediatric Orthopaedics in the recent past which would have a significant impact in the understanding and management of various common Pediatric Orthopaedic disorders. 1. “Pediatric Supracondylar Fractures: Variation in Fracture Patterns and the Biomechanical Effects of Pin Configuration.” by Jaeblon et al. (J Pediatr Orthop 2016;36:787–792)  REMARKS –This is one of the very few studies providing an insight on the biomechanical stability of pin configurations in various patterns of supracondylar fractures, showing the all lateral pin construct to provide favourable outcomes in most of the fracture patterns with fewer complications. 2. “Treatment of flexion-type supracondylar fractures in children: the ‘push–pull’ method for closed reduction and percutaneous K-wire fixation.” by Chukwunyerenwa and his colleagues. (Journal of Pediatric Orthopaedics B 2016, 25:412–416)Remarks- This is a research paper describing a new, simplified technique in treating flexion-type supracondylar humerus fractures (by push-pull technique) in pediatric population with optimal clinical and radiological outcomes. This technique would help the general orthopaedic surgeon to treat this difficult injury with ease. 3. “Conservative Management of Minimally Displaced (<2mm) Fractures of the Lateral Humeral Condyle in Pediatric Patients: A Systematic Review”. A review article by Knapik et al. (J Pediatr Orthop 2017;37:e83–e87) Remarks – This is paper provides a review of various published research papers regarding the management of minimally displaced lateral humeral condyle fractures, which is still a pandoras box to the orthopaedic surgeons. A conservative management can be attempted for minimally displaced fractures (<2mm) provided a close radiographic follow up is carried out. 4. “Closed Reduction and Percutaneous Pinning Versus Open Reduction and Internal Fixation for Type II Lateral Condyle Humerus Fractures in Children Displaced >2mm”. by Pennock et al. 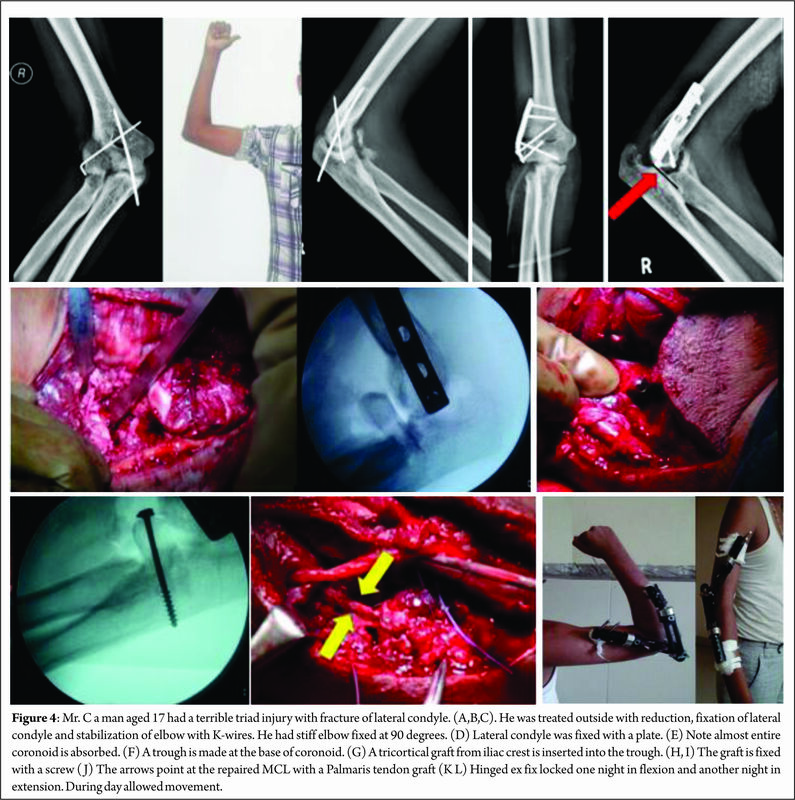 (J Pediatr Orthop 2016;36:780–786)Remarks– This research paper describes about the surgical management in displaced lateral humeral condyle fractures (> 2mm) but with minimal joint incongruity, reported similar results with closed reduction and percutaneous pinning as well as open reduction with internal fixation. Closed reduction can be preferred due to its less invasiveness and operative time, only if joint congruity is confirmed. It outlines objective criteria for the different lines of management however the clinician must not forget the significant learning curve in the judgement of the displacement. 5. “Does operative ﬁxation affect outcomes of displaced medial epicondyle fractures?”. By Stephanovich et al. (J Child Orthop (2016) 10:413–419) RemarksAlthough this study provides a small cohort, reports higher union rates, less complications and early return activity especially sports, with operative management for displaced medial humeral condyle fractures. It deserves merit for attempting to study a large cohort for a rare injury, most clinicians are still unclear on its diagnosis and management and hence we recommend it as a must read. 6. “Compartment syndrome in infants and toddlers”. Research paper published by Broom et al. (J Child Orthop (2016) 10:453–460) Remarks– This paper provides an insight on the incidence of compartment syndrome in children less than 3 yrs of age, as diagnosis is often delayed. It has been reported that, even with a delay in diagnosis (48-72 hrs after injury) the outcomes are favourable after fasciotomy especially in toddlers. 1. “Kocher Criteria Revisited in the Era of MRI: How Often Does the Kocher Criteria Identify Underlying Osteomyelitis?” , A research paper published by Nguyen and his colleagues. (J Pediatr Orthop 2017;37:e114–e119) Remarks–This is one of the recent landmark papers in musculoskeletal infections showing the importance of the additional investigation of MRI in children with the diagnosis of septic arthritis according to the Kocher’s criteria, as there is a high chance of concomitant osteomyelitis. 2. “Laboratory predictors for risk of revision surgery in pediatric septic arthritis.”Research workby Telleria et al. (J Child Orthop (2016) 10:247–254) Remarks –This research paper throws light on the predictors of revision surgery following index surgery for septic arthritis in children, and predicts a positive blood culture and a high CRP at initial presentation to be statistically significant risk factors. 3. “Tubercular dactylitis in children”. By Balaji and his colleagues. (Journal of Pediatric Orthopaedics B 2017, 26:261–265) Remarks– This research paper provide light on the delay in diagnosing TB dactylitis as there are various mimickers, and prompt multi-drug therapy as the treatment of choice. 4. “Hand and wrist tuberculosis in paediatric patients – our experience in 44 patients”, By Prakash et al. (Journal of Pediatric Orthopaedics B 2017, 26:250–260) Remarks – This research provides a large cohort of patients with tuberculosis of upper limb especially, wrist and hand. A prompt early diagnosis and management in the form of ATT is essential to get favourable outcomes and prevent morbidities in the form of residual stiffness and pain due to the development of arthritis. 1. “Avascular necrosis following closed reduction for treatment of developmental dysplasia of the hip: a systematic review”, by Bradley and his colleagues. (J Child Orthop (2016) 10:627–632) Remarks – This is a review article on the incidence of AVN following closed reduction for DDH, with a significantly large follow up, showing a significant amount of AVN (10%). 3. “MRI versus computed tomography as an imaging modality for post reduction assessment of irreducible hips in developmental dysplasia of the hip: an inter-observer and intra-observer reliability study”. A study conducted Barkatali and his colleagues. (Journal of Pediatric Orthopaedics B 2016, 25:489–492) Remarks – This is one of the very few papers showing a definite comparison between the use of MRI and CT scan for the assessment of irreducible hips post reduction and provides a clear recommendation of using MRI over CT scan. 4.“The alpha angle as a predictor of contralateral slipped capital femoral epiphysis”,by Boyle and his colleagues. (J Child Orthop (2016) 10:201–207) Remarks– This is one of the recent studies throwing a highlight on development of SCFE in the contralateral hip which could be prevented by measuring the alpha angle and assessing the risk during the index surgery with a statistically significant correlation. It is an excellent article which provides very useful guidelines to judge the angle of slip accurately. 5. “Delay in the Diagnosis of Stable Slipped Capital Femoral Epiphysis”. A study conducted by Iwinski and his colleagues. (J Pediatr Orthop 2017;37:e19–e22) REMARKS –This is one of the recent articles that provides a brief information the factors contributing to the delay in the diagnosis of stable SCFE. A significant delay has been reported when the patient is seen by a non-orthopedic provider and when the patient presents with knee pain instead of hip. 1. “Ponseti method compared to previous treatment of clubfoot in Norway. A multicenter study of 205 children followed for 8–11 years”. A study conducted by Saetersdal K and his colleagues. (J Child Orthop (2016) 10:445–452) Remarks– This article throws a significant light on the Ponseti method with a good amount of follow up, showing the significance and merits of using Ponseti method in comparison to other casting methods. It also highlights the paradigm shift that has occurred with respect to approachto club foot treatment. 2. “Treatment of complex idiopathic clubfoot using the modified Ponseti method: up to 11 years follow-up”. A study conducted by Matar H E and his colleagues. (Journal of Pediatric Orthopaedics B 2017, 26:137–142) REMARKS – This is one of the few long term studies on the use of modified Ponseti method for the management complex idiopathic clubfoot showing effective and reliable results, but with a small sample size as compared to the Indian sub- continent. 3. “Tarsal Bone Dysplasia in Clubfoot as Measured by Ultrasonography: Can it be Used as a Prognostic Indicator in Congenital Idiopathic Clubfoot? A Prospective Observational Study”. A study by Chandrakanth U and his colleagues. (J Pediatr Orthop 2016;36:725–729) Remarks– Excellent article. This is one of the new areas of research in the management of clubfoot, using the amount of tarsal bone dysplasia as a marker for prognostication in children with clubfoot. Although a short term study, has paved the way for this new area of research and analysis in the management of clubfoot. “What’s New in Pediatric Flatfoot?”. This was a POSNA review article reported by Bauer K, Mosca V S and Zionts L E. (J Pediatr Orthop 2016;36:865–869) Remarks–This paper deserves a lot of merit for being an eye opener especially regards with non uniformity of clear definitions and management protocols .Here the authors have described about the proponents of managing various causes of pediatric flatfoot like flexible flat foot, Tarsal Coalition and CVT, and the latest concept regards to the management of the above conditions. 1. “Stepwise surgical approach to equino-cavovarus in patients with cerebral palsy”. This article was published by Won H S and his colleagues. (Journal of Paediatric Orthopaedics B 2016, 25:112–118) Remarks –This article provides a brief and clear outline about the step wise management of common foot deformities encountered in Cerebral Palsy. 2. “A balanced approach for stable hips in children with cerebral palsy: a combination of moderate VDRO and pelvic osteotomy”, published by Reidy K et al. (J Child Orthop (2016) 10:281–288) Remarks – Providing a moderate but adequate amount of varus along with acetabular procedure, gives a favourable outcome especially in CP children with GMFCS IV and V.
1. “Correction of elbow flexion contracture by means of olecranon resection and anterior arthrolysis in obstetrical brachial plexus palsy sequelae”. A study conducted by Senes and his colleagues. 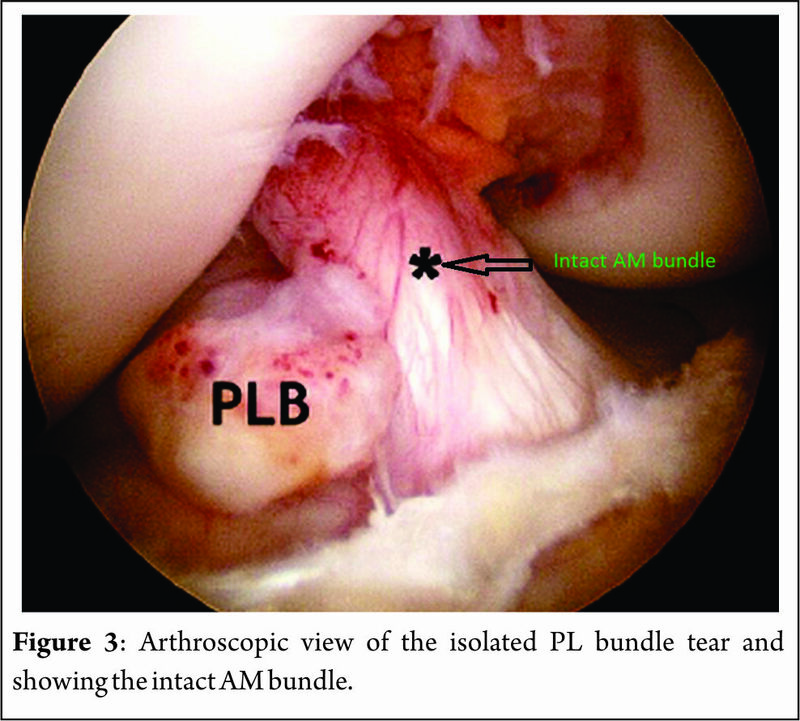 (Journal of Pediatric Orthopaedics B 2017, 26:14–20) Remarks- This is a pilot study which provides information on a new technique of olecranon tip resection with elbow arthrolysis in young patients with OBPP sequelae with reliable outcomes. However this is not a widely practised procedure we would advise the novice reader to interpret and adopt with caution as it is meeting with scepticism even in expert hands. 2. “Evaluation of functional outcomes and preliminary results in a case series of 15 children treated with arthroscopic release for internal rotation contracture of the shoulder joint after Erb’s palsy”. A study conducted by Elzohairy and his colleagues. (J Child Orthop (2016) 10:665–672) Remarks–This article describes a new minimally invasive technique for the management of internal rotation contracture in the children with OBPP at a younger age with favourable mid-term results. 1. Jaeblon T, Anthony S, Ogden A, Andary JJ. Pediatric Supracondylar Fractures: Variation in Fracture Patterns and the Biomechanical Effects of Pin Configuration. J Pediatr Orthop. 2016 Dec;36(8):787-792. 2. Chukwunyerenwa C, Orlik B, El-Hawary R, Logan K, Howard JJ. Treatment of flexion-type supracondylar fractures in children: the ‘push-pull’ method for closed reduction and percutaneous K-wire fixation. J Pediatr Orthop B. 2016 Sep;25(5):412-6. 3. Knapik DM, Gilmore A, Liu RW. Conservative Management of Minimally Displaced (≤2 mm) Fractures of the Lateral Humeral Condyle in Pediatric Patients: A Systematic Review. J Pediatr Orthop. 2017 Mar;37(2):e83-e87. 4. Pennock AT, Salgueiro L, Upasani VV, Bastrom TP, Newton PO, Yaszay B. Closed Reduction and Percutaneous Pinning Versus Open Reduction and Internal Fixation for Type II Lateral Condyle Humerus Fractures in Children Displaced >2 mm. J Pediatr Orthop. 2016 Dec;36(8):780-786. 5. Stepanovich M, Bastrom TP, Munch J 3rd, Roocroft JH, Edmonds EW, Pennock AT. Does operative fixation affect outcomes of displaced medial epicondyle fractures? J Child Orthop. 2016 Oct;10(5):413-9. 6. Broom A, Schur MD, Arkader A, Flynn J, Gornitzky A, Choi PD. Compartment syndrome in infants and toddlers. J Child Orthop. 2016 Oct;10(5):453-60. 7. Nguyen A, Kan JH, Bisset G, Rosenfeld S. Kocher Criteria Revisited in the Era of MRI: How Often Does the Kocher Criteria Identify Underlying Osteomyelitis? J Pediatr Orthop. 2017 Mar;37(2):e114-e119. 8. Telleria JJ, Cotter RA, Bompadre V, Steinman SE. Laboratory predictors for risk of revision surgery in pediatric septic arthritis. J Child Orthop. 2016 Jun;10(3):247-54. 9. Saibaba B, Raj Gopinathan N, Santhanam SS, Meena UK. Tubercular dactylitis in children. J Pediatr Orthop B. 2017 May;26(3):261-265. 10. Prakash J, Mehtani A. Hand and wrist tuberculosis in paediatric patients – our experience in 44 patients. J Pediatr Orthop B. 2017 May;26(3):250-260. 12. Gardner RO, Bradley CS, Sharma OP, Feng L, Shin ME, Kelley SP, Wedge JH. Long-term outcome following medial open reduction in developmental dysplasia of the hip: a retrospective cohort study. J Child Orthop. 2016 Jun;10(3):179-84. 13. Barkatali BM, Imalingat H, Childs J, Baumann A, Paton R. MRI versus computed tomography as an imaging modality for postreduction assessment of irreducible hips in developmental dysplasia of the hip: an interobserver and intraobserver reliability study. J Pediatr Orthop B. 2016 Nov;25(6):489-92. 14. Boyle MJ, Lirola JF, Hogue GD, Yen YM, Millis MB, Kim YJ. The alpha angle as a predictor of contralateral slipped capital femoral epiphysis. J Child Orthop. 2016 Jun;10(3):201-7. 15. Hosseinzadeh P, Iwinski HJ, Salava J, Oeffinger D. Delay in the Diagnosis of Stable Slipped Capital Femoral Epiphysis. J Pediatr Orthop. 2017 Jan;37(1):e19-e22. 16. Sætersdal C, Fevang JM, Bjørlykke JA, Engesæter LB. Ponseti method compared to previous treatment of clubfoot in Norway. A multicenter study of 205 children followed for 8-11 years. J Child Orthop. 2016 Oct;10(5):445-52. 17. Matar HE, Beirne P, Bruce CE, Garg NK. Treatment of complex idiopathic clubfoot using the modified Ponseti method: up to 11 years follow-up. J Pediatr Orthop B. 2017 Mar;26(2):137-142. 19. Bauer K, Mosca VS, Zionts LE. What’s New in Pediatric Flatfoot? J Pediatr Orthop. 2016 Dec;36(8):865-869. 20. Won SH, Kwon SS, Chung CY, Lee KM, Lee IH, Jung KJ, Moon SY, Chung MK, Park MS. Stepwise surgical approach to equinocavovarus in patients with cerebral palsy. J Pediatr Orthop B. 2016 Mar;25(2):112-8. 21. Reidy K, Heidt C, Dierauer S, Huber H. A balanced approach for stable hips in children with cerebral palsy: a combination of moderate VDRO and pelvic osteotomy. J Child Orthop. 2016 Aug;10(4):281-8. 22. Senes FM, Catena N, Dapelo E, Senes J. Correction of elbow flexion contracture by means of olecranon resection and anterior arthrolysis in obstetrical brachial plexus palsy sequelae. J Pediatr Orthop B. 2017 Jan;26(1):14-20. 23. Elzohairy MM, Salama AM. Evaluation of functional outcomes and preliminary results in a case series of 15 children treated with arthroscopic release for internal rotation contracture of the shoulder joint after Erb’s palsy. J Child Orthop. 2016 Dec;10(6):665-672. How to Cite this article: .Mehta R, Sarathy K. Review of Important Recent Articles in Paediatric Orthopaedics Journal of Clinical Orthopaedics .Jan – June 2017; 2(1):52-55.